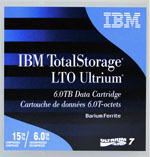 For a limited time, BackupWorks and FujiFilm are offering a FREE LTO Ultrium Cleaning Cartridge with purchase of 10 or more FujiFilm LTO-7 Ultrium Tape Cartridges. Now through October 31, 2018 while stocks last. ($60 value). Fujifilm’s Linear Tape-Open (LTO) Ultrium 7 produced with Barium Ferrite magnetic particles using Fujifilm’s core NANOCUBIC technology. 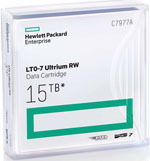 The Fujifilm LTO Ultrium 7 data cartridge offers a super high native/compressed storage capacity of 6.0/15.0TB, transfer rates up to 300/750MB per second, WORM capability and LTFS dual partitioning functionality to facilitate file management. Fujifilm’s Barium Ferrite magnetic particles are chemically stable leading to enhanced performance and longer archival life. 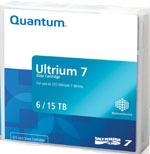 Fujifilm’s LTO Ultrium 7 and future generations of LTO will use Barium Ferrite particles with NANOCUBIC technology for a thin and uniformly coated magnetic layer. Barium Ferrite is Fujifilm’s patented technology. 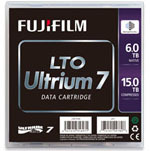 FujiFilm LTO-7 Ultrium Product Data Sheet - Click here.